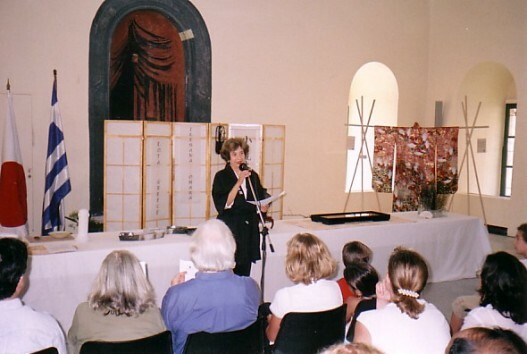 - Exhibition of DOLLS, CONTEMPORARY PAINTING and BOOKS from Japan. 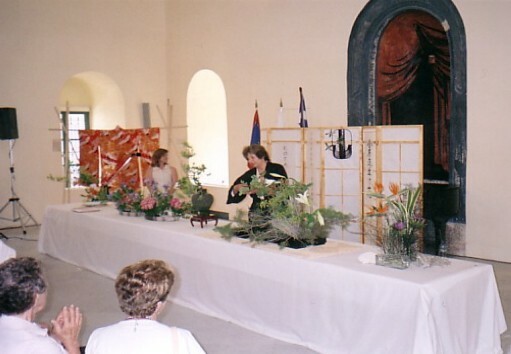 - IKEBANA demonstration of the OHARA SCHOOL of Japan. Mrs Barczyk demonstrated the following arrangements: 3 arrangements of Hana Isho, Modern arrangement in 3 glass tall vases, Realistic landscape, Rimpa, Bunjin in tall vase, Traditional Basket. 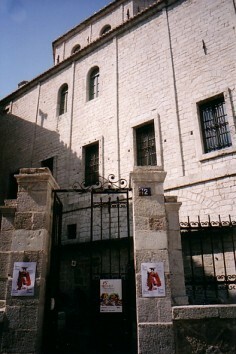 The demonstration took place in Vouleftikon Building, the first House of Parliament of liberated Greece, 1825 - 1828. 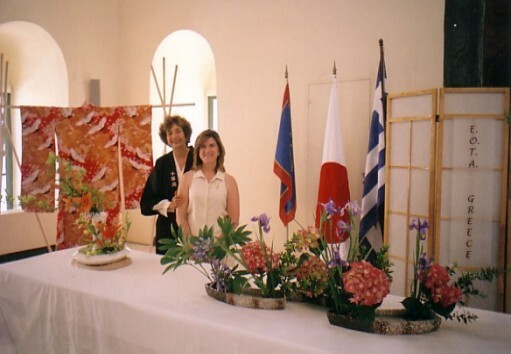 - The Embassy of Japan for the honour to demonstrate IKEBANA-OHARA. 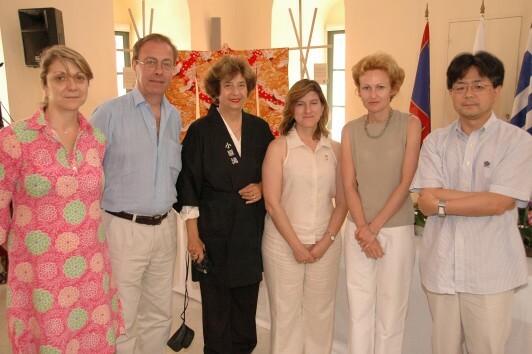 - The Mayor of Nafplion, Mr. Panayiotis Anagnostaras, for the hospitality in the historical building of Vouleftikon. and his associates, as well as for the last shown photograph from the records of the Phormigx Concert Agency.